Home » DRC » DRC: Who are the Raïa Mutomboki? DRC: Who are the Raïa Mutomboki? Amidst the clashes between local Congolese militia that have been increasing in frequency the past weeks, the group called the ‘Raïa Mutomboki’ keeps being mentioned. A young Congolese girl with her younger sister on her back, Mugunga camp, eastern DRC. Photograph by Colin Delfosse/Oxfam International. 2 Who are the Raïa Mutomboki? 3 How is the Raïa Mutomboki organised? 4 What role does the Congolese government play in all this? 5 How have local dynamics played a part in the militarisation of communities in the region? 6 What is the latest security situation in the eastern DRC? After a period of relative calm, fighting has erupted once more around the town of Bunyakiri in South Kivu, in the eastern Democratic Republic of Congo (DRC). Reports from the area suggest that in early June, members of two armed groups burned down villages of their opposing constituencies following a dispute. In the subsequent days, further skirmishes evolved, ultimately including a third rebel group based in the area. The violence involved a militia called the Raïa Mutomboki clashing with Nyatura, a Hutu armed group allied to the Congolese army, and with the Mayi-Mayi Kifuafua, a former splinter group of the Raïa Mutomboki. The Raïa Mutomboki are a frequently discussed militia group in reports of conflict in the DRC. But who are they, what are their origins and what are their motivations? Who are the Raïa Mutomboki? The Raïa Mutomboki – meaning ‘citizens in anger’ in Kiswahili – are a mix of localised self-defence militia and decentralised rebel army. Made up of many loosely-affiliated units, the Raïa Mutomboki emerged in 2005 among remote rural populations in the disputed eastern DRC, a region in which the Congolese government and army have been largely absent for long periods of time. Raïa Mutomboki’s membership is fluid and is mostly made up of civilians who take up arms at specific points in time. This makes estimating the size of the militia difficult, but there may be as many as a few thousand members. The Raïa Mutomboki purportedly emerged as a means of self-defence following the massacre of 12 civilians in the village of Kyoka by the FDLR, a Rwandan Hutu rebel group predominantly made up of the genocidaires who fled into eastern DRC from Rwanda following Rwanda’s 1994 civil war. The Raïa Mutomboki engaged in a relatively quick and successful campaign against the FDLR in the mid-2000s, gaining in strength as they went along. As Rémy Kasindi, founder of the Congolese think tank CRESA, points out, “successful attacks on FDLR yielded weaponry for the Raïa Mutomboki that only fought with spears and arrows in the first place”. After managing to establish their dominance over the FDLR, the Raïa Mutomboki lay largely dormant for a number of years. In 2011, the group re-emerged as a decentralised franchise once more, in response to increased insecurity. This time the regional security vacuum was partly caused by a reshuffling process within the government army (the so-called regimentation process). How is the Raïa Mutomboki organised? The movement’s founder and spiritual head is local healer Jean Musumbu. According to combatants, Musumbu’s dawa – a magic potion believed to render them invincible – is particularly strong and has helped them defeat better-equipped enemies, such as the FDLR in 2005. However, asides from this figurehead and a few other known commanders, the Raïa Mutomboki do not really have an established organisational structure. The Usalama Project’s Jason Stearns refers to the group as a series of “armed franchises” due to the vague diffusion of the Raïa Mutomboki label. Although similar to the Mayi Mayi groups that have partaken in the Congolese conflicts for decades, and even referred to as ‘Mayi Mayi Raïa Mutomboki’ by various media, the group differs from other militias in the Kivu provinces. While most armed actors have more or less centralised structures of command, Raïa Mutomboki is extremely decentralised. A Bunyakiri-based commander explained to Think Africa Press that the group is fluid and has a flat hierarchy, in part due to the way in which the Congolese government has managed to co-opt or buy off leading commanders in an attempt to decapitate different groups. Nevertheless, the Raïa Mutomboki do have a system of swelling their ranks, called arsenal. Under this strategy, once a village is defended or liberated from FDLR or other ‘Rwandophone’ militants, males from that village are initiated into the movement, creating a sort of snowball effect. If a subsequent neighbouring village is then attacked, new recruits are expected to lend a helping hand. In a sense, local social pressure plays a more important role in the spread of the movement than forceful recruitment. What role does the Congolese government play in all this? The Congolese government is intertwined in these dynamics in a number of different, complex, and sometimes contradictory ways. As mentioned above, one of the reasons for the emergence of the Raïa Mutomboki was the insecurity in South Kivu in the mid-2000s. This was again the reason for the group’s re-emergence in 2011, when the government’s attempts to undermine the influence of former CNDP rebels in the national army backfired. In the security vacuum left behind by this failed policy, the FDLR was able to regain territory that had previously been lost and re-start terrorising civilians. The Raïa Mutomboki can also be seen as one particularly stark manifestation of the government’s failed policy of disarmament, demobilisation, and reintegration (DDR). As part of the Sun City peace agreement of 2002, which negotiated the end of the Second Congo War, thousands of combatants were to be integrated into the national army whilst others were to be demobilised and reintegrated into civilian life. Corruption in DDR, however, was rampant, and thousands of demobilised combatants never received any assistance to return to non-military professions, especially those in the most remote areas. To an extent, the re-emergence of a militant group in the area such as Raïa Mutomboki was somewhat predictable in the face of failures to demobilise former militants. Not only have disarmament policies brought perverse incentives to create or maintain armed groups, in order to be awarded the funds to then demobilise, but their uneven implementation has also created imbalances in the fragile local contexts, sometimes pitting communities against one another. How have local dynamics played a part in the militarisation of communities in the region? The militarisation of communities in the eastern DRC can partly be seen as one of the logical consequences of long-term governance without government – whereby non-state actors take on some of the roles of the state or blend into the very same – in the region. The failures of reintegration have also contributed to the dynamics of militia formation. As Verweijen and Baaz have shown, lukewarm efforts at army integration have been marred by irregularity and caprice. Integration into the Congolese military has typically either deprived communities of their own defences or – when applied inconsistently – allowed some groups to maintain their military strength over others. For example, many former CNDP rebels were awarded key positions when integrated into the national army, an imbalance the failed regimention process was attempting to address. While by contrast, various Mayi Mayi were redeployed outside Kiv,u leaving their communities at the mercy of other potentially hostile local militia. In these local security contexts, militia such as Raïa Mutomboki have emerged again and again. They engage in warfare for the sake of deterrence and revenge whilst aiming to maintain their relative strength over other possible enemies in the region. What is the latest security situation in the eastern DRC? The last few months in the eastern DRC have been particularly volatile. In North Kivu, the stalemate between FARDC and the M23 rebels ended with fighting restarting around the provincial capital of Goma, further north, the Allied Defence Forces, an Ugandan militia operating in the DRC, have caused thousands of refugees to flee to neighbouring Uganda, while Masisi territory has been marred by fighting between APCLS and Sheka militias – two local militia groups. In South Kivu, a faction of the Raïa Mutomboki clashed with FARDC in Mwenga territory, while members of Raïa Mutomboki have fought with Nyatura and Kifuafua rebels in Kalehe. 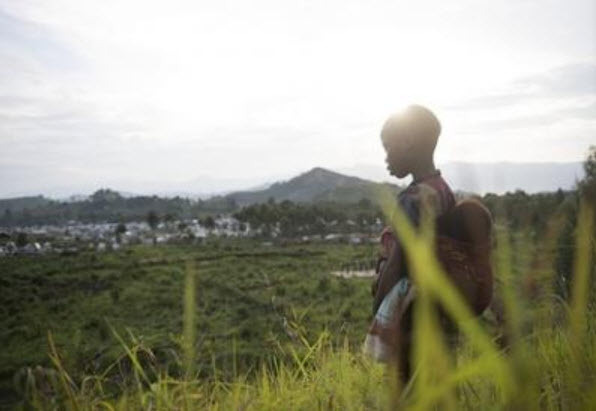 Towards mid-July 2013, the clashes moved into Southern Walikale territory of North Kivu. One of the main dangers now is that these dynamics in North Kivu somehow merge with the Masisi-related events. In the meantime, there have also been reports of smaller units of Raïa Mutomboki effectuating a merger in order to better coordinate their politico-military futures. Whether this alleged new coalition will emerge as a more uniform movement or not is as yet unclear. Coalition-building of this sort, however, has seldom proved to be a step towards peace.